Mansion Casino is ready to welcome you with a great Top Game bonus. Create an account and make a minimum deposit of £20 using the promotional code CLAIM200. 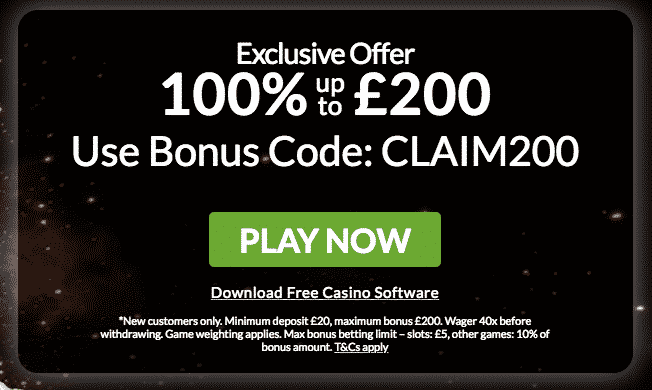 You will get a 100% up to £200 match bonus to use on any games you like. The bonus amount must be wagered 40 times before withdrawals can be made. Claim the offer and have a great time!